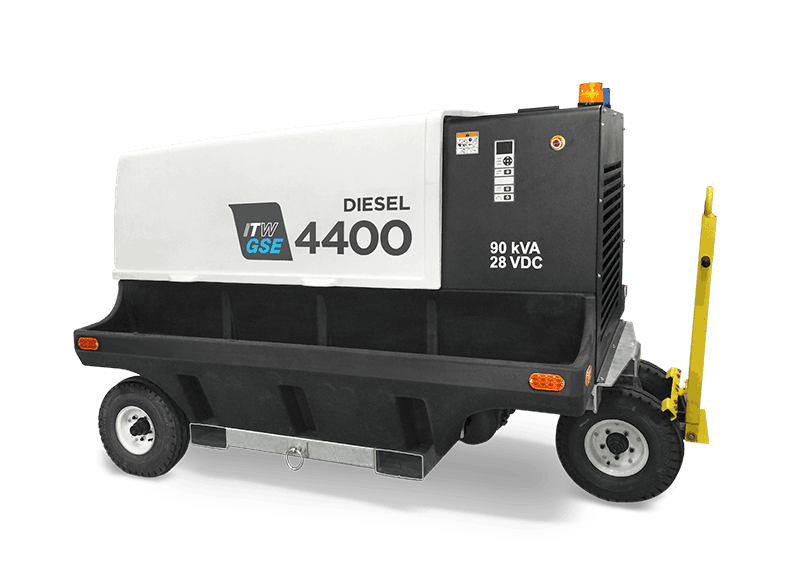 Wherever you need an independent external power source, the ITW GSE 4400 ground power unit can do the job. 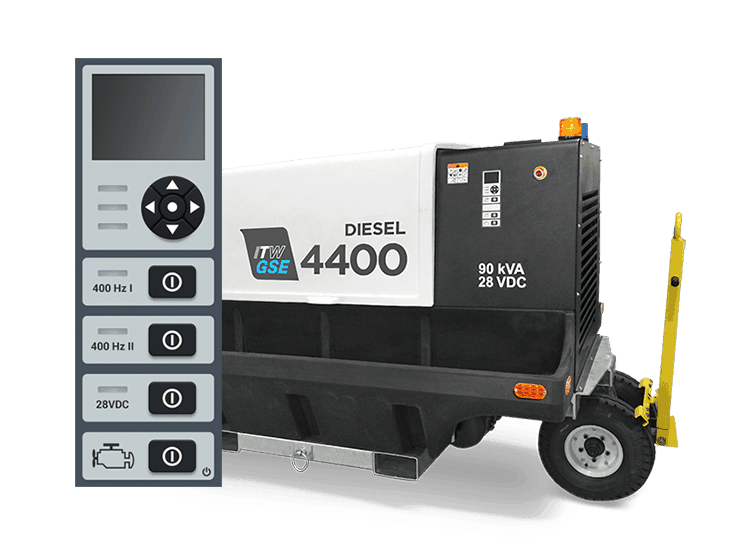 The 4400 unit is a mobile, diesel-powered 400 Hz unit available with Cummins Tier 3 or Tier 4 engine, so no matter where in the world you are located, we can match your power requirements. 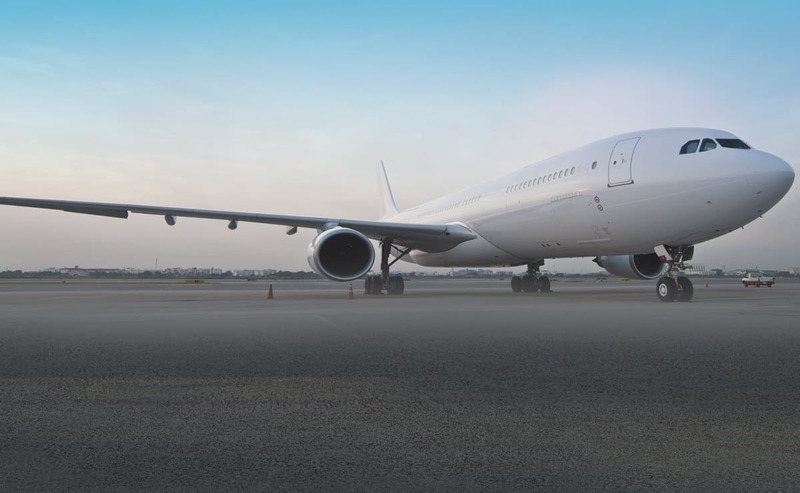 The 4400 engine drive GPU provides a quiet, fuel-efficient apron power system. It is easy to move around, remarkably tough and supremely reliable. 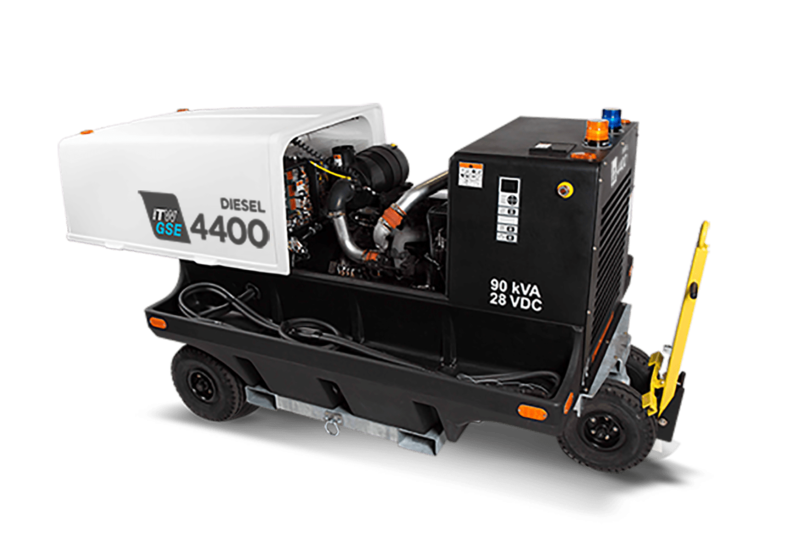 The low-profile design, mounted on a towable trailer with fifth-wheel steering, makes this ultra-reliable engine-driven 400 Hz GPU easy to maneuver around the congested apron areas of modern airports. Due to the low weight of the GPU, you can tow it around even with small towing equipment thus reducing the total cost of ownership. The low fuel consumption of the Hobart 4400 family results in big savings on your fuel costs as well as reducing harmful engine emissions. As one of the most advanced GPUs in the market, the 4400 is available in a dual voltage AC/DC version. This combo unit is capable of delivering 400 Hz and regulated 28.5 VDC power, simultaneously and independently! 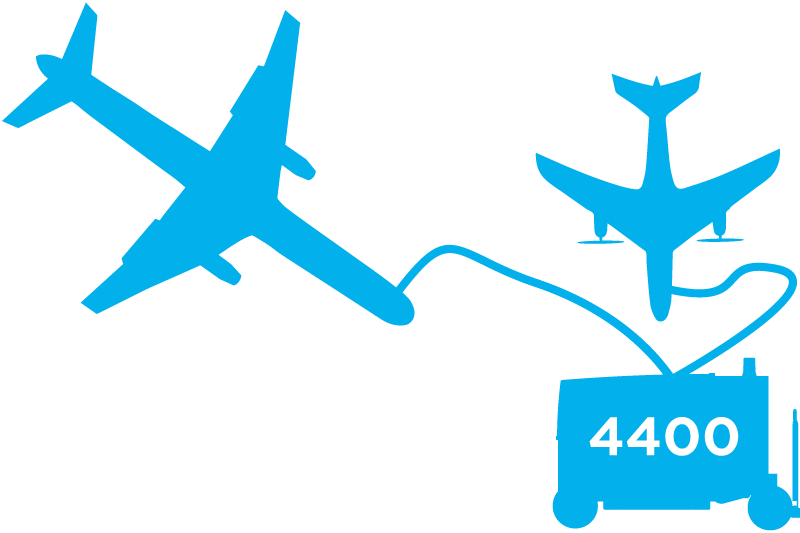 The 28.5 V Active Rectifier Unit (ARU) - available as a standard option - delivers superior voltage quality at the aircraft plug without jeopardising the 400 Hz voltage. 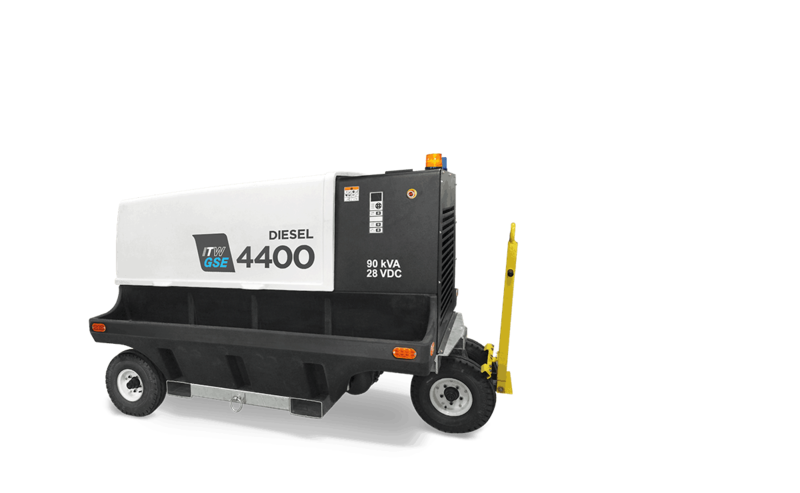 It goes without saying that the ITW GSE 4400 will power your aircraft, whether a narrow body or a turbo prop, wherever you need it, whenever you need it! The software-based control system means your Hobart 4400 GPU can be updated and given additional capabilities in the future, simply by transferring new software from a USB stick/flash drive. 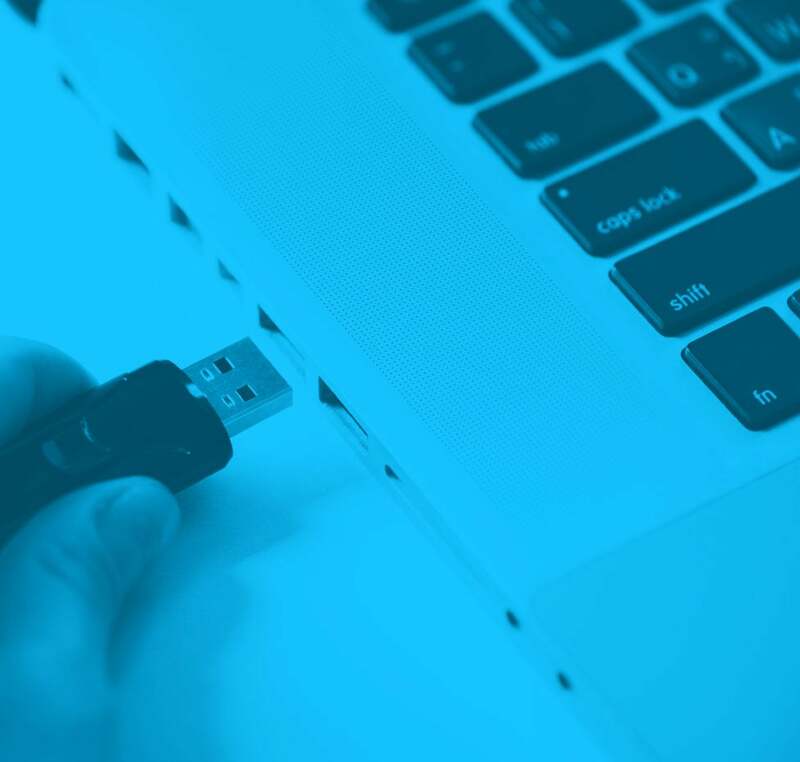 Service log files and maintenance data can also be transferred the same way for analysis and to help ensure more efficient back-office procedures and more effective facility management.